Volareo has launched on crowdfunding site Indiegogo, starting from $99 USD for the early bird special. At the time of writing, the company have already raised more than their initial $20,000 goal on the crowdfunding platform. The smart speaker provides an easy platform for artists and users to interact and can be used to intelligently search for and discover music using voice, according to Volareo. Volareo has a blockchain music partnership with Musicoin, which allows users to listen for free while musicians are still fairly compensated for each stream. The Volareo Smart Speaker comes preloaded with 500 Musicoins, the equivalent of $10 USD, which allows users to tip their favourite artists by voice or by clapping. A double authorisation system allows listeners to verify all tips before they are sent. “Blockchain music has huge potential to drive much needed revenue to artists, particularly independent ones, transparently, directly and instantly. 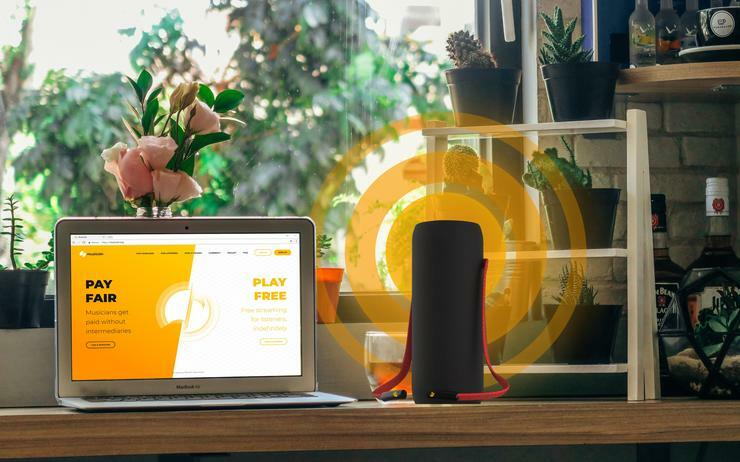 The listener gets the chance to connect on a much closer level with the artist, by being able to tip artists or buy merchandise, for example, via voice commerce”, said Nick Yap, Volareo founder. “Together with all users, we want to pave a new way forward to crowdsourced content creation. We want to build a platform that empowers people to connect”, said Yap. “We have brought the best experts in every field together, to create a smart speaker for you and us, the people. Decentralised and direct: an open platform for crypto & blockchain partners, creators, voice commerce & developers. Our privacy and our voices should be ours”, added Yap. First orders of the speaker can be made here, for $99 USD for Early Bird adopters until September 15th. Why is Bitcoin such a security hazard? One year later, Alexa is still the only voice assistant for the Sonos One.